There isn't a day that goes by that we don't use water in our homes. It is essentials to many daily functions such as bathing, doing laundry, cooking, cleaning, and using household appliances. We often take the pristine quality of our water for granted. You may not ever stop to notice just how much you depend on water until there is an issue with it. A common water disturbance is the visible appearance of 'flakes' or sediment. Others problems cannot be seen by examining the water directly, but the effects are noticeable in other ways. You may have noticed that your clothes are appearing duller after they've been washed. Or perhaps there are stains on your dishes even after they have been washed. Water stains, water that tastes bad, and dingy laundry are all signs that you may have a hard water problem in your home. Here, we'll discuss how to identify hard water, the top available reform options, and how to install a salt-based or salt-free water softener in your home. How Do I Test for Hard Water? Hard water comes from water sources that collect minerals such as magnesium, calcium, or manganese. Water is considered hard when a high amount of these mineral deposits are absorbed in the water. Water hardness is generally measured in grains per gallon, or GPG. Any water measuring 4 grains or higher is considered mildly hard. Water with a GPG greater than 10.5 is considered very hard. Hard water can cause a wide array of inconveniences for you and your family. Hard water may make kitchenware appear dirty, even leaving spots and stains on clean dishes. You may notice a buildup of deposits on faucet and shower heads, dingy laundry, rings around the inside of the toilet, or actually notice deposits floating in your water. This can be a huge annoyance, and most cleaning solutions do little to help. Hard water, however, is mostly a cosmetic interference and is safe for consumption. Mineral buildup can create problems with appliances and can clog plumbing. Any appliance that uses water will become less effective as hard water pursues. Dishwashers, coffee makers, washing machines, and water heaters can all be affected. As the deposits in hard water settle to the bottom of your water heater, they can form a layer which prevents efficient heating. This disturbance can cause higher costs while depleting the life of the water heater. Hard water affects other appliances in much the same way. For an official test, you may want to bring in a water quality expert. Water hardness is measure in grains and a expert can give you precise measurements. Hard water will worsen over time and should be treated once you notice a problem. A professional water quality expert may also test for other problems like bacteria and lead in the water. Unless you are extremely sensitive to water quality, the first evidence of hard water will be visual. Hard water can usually be identified by many of the aforementioned markers like deposit buildups and water stains. Detergent or shampoo that doesn't lather or get sudsy is another clear indication of hard water. Some individuals may notice dry skin or brittle hair. Water that is considered hard will need to be softened with a water softener. CLICK HERE to Get Cheap Water Softener Installation! While salt water softeners are most common, there are also several other options available to you. Here, we will discuss the most common two, followed by a short installation guide for each. Salt based water softeners may also be called ion exchange softeners due to their function. During the filtering process, sodium is substituted with more abrasive minerals like magnesium and calcium. The two-part tank system uses resin beads and a salt brine solution to create soft water for the home. While generally deemed not as effective as salt-based systems, salt free water softeners provide a solution to those who are more environmentally conscience. Salt free systems are free of chemicals and function instead by using nanotechnology to alter the structure of water molecules. A salt-based water softener is comprised of two tanks: one is filled with resin and the other is filled with salt. The one containing the salt is called a brine tank. It is the shorter of the two and is much wider. The taller, narrower tank is called the media tank. It comes complete with a control valve at the top. The media tank is filled with small resin beads. Once installed, all of the water entering your home will pass through the media tank. As water passes through the media tank, the minerals bind to the resin beads. The resin beads will become less effective over time and will need to be regenerated. The top valve is used to measure how much water you're using. When the media tank is reaching capacity, the regeneration process should begin and the tank will need to be cleaned out. The regeneration cycle can often times be automated using the control valve on top of the media tank. The regeneration cycle should commence at a time when there is little water usage in the home. Many select overnight hours while most people in the home are asleep. The water softener uses a series of four steps to ensure the resin beads in your media tank are ready to do their job again. Backwash Cycle - During this phase, water flows through the media tank to wash out the dirt and mineral deposits that have been collected. That sediment then flows down the drain. Brine Cycle - At this time, there is water in the salt-filled brine tank. That salt water makes a brine solution, which is pulled into the media tank through a connected tube. The brine solution flows through the media tank and forces the resin beads to release any stored mineral deposits. Those deposits are then flushed down the drain. Rinse Cycle - The final rinse cycle is intended to clean out any remaining brine, sediment, or minerals from the media tank. Again, those deposits are flushed down the drain. Fill Cycle - During the fill cycle, the media tank's valve decides how much water needs to be added back into the brine tank. This final step ensures that the brine solution will be ready for the next regeneration cycle. If you already have a water softener installed in your home that needs to be replaced, you can plan to put the new system near the same location. If this is the first water softener for your home, finding a location may be a bit tricky. The water softener will need to tie into the plumbing system so that must be considered when choosing a location. Most individuals choose to place their water softener in the lowest level of their home. Locations to consider include the basement, utility area, or garage. The ideal location is usually somewhere near the water heater. The location you choose should be away from the general living area. You should also be sure to leave enough space around the unit for servicing. You should plan to place the water softener where the required hookups will be available. The unit will also require place to dispel, so you'll want to consider placing it near some type of drain. The amperage required for the water softener to work correctly will vary from machine to machine. Be sure to view the specifications listed by the manufacturer. If you plan to soften the water for your whole home, ensure you install the device before your water heater connection. Hard water can cause minerals to build up at the bottom of the water heater, causing further concerns down the line. Installation can be completed by most people who are comfortable making moderate repairs around the home. The degree of difficulty is moderate, depending on your level of expertise. Limited Time Offer: Cheap Water Softener Installation Service! Follow the steps listed below to install a salt-based water softener in your home. Plant the Device - Move all components of the water softener over to the desired location. There should be two connector ports near the back of the unit. One is an inlet and the other is an outlet. You should connect the pipe carrying your water supply to the inlet pipe, while the outlet connector should connect with the water heater. Ideally, the water softener will be positioned so that the connected pipes won't cross or tangle. Also, leave enough room for easy access in case the unit ever needs to be serviced. Shut Off Water Supply – Your water supply valves may be located inside or outside the home. Locate them and ensure they are turned completely off. You may also want to drain any excess water from your bathtubs to ensure there's no water left in the pipes. Otherwise, have a bucket handy for any stored water flow. Next, shutdown your water heater by turning off the power. For an electrical water heater, locate the circuit breaker and turn off power to the device. For gas water heaters, ensure your thermostat is in the 'off' position. Then, connect a hose to the drain valve and place the other end near a drain. Keep in mind that the water will be dangerously hot. Finally, open the relief valve so the water can drain. Cut & Solder Pipes - Before the water softener can be installed, alterations will likely need to be made to your piping. 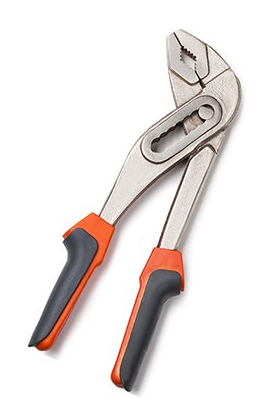 You may need a pipe cutter, elbow fittings, sandpaper, a wire brush, solder paste and an application brush, and a small handheld torch, depending on your setup. Clean and prepare your pipes with sandpaper and your elbow fittings with a small wire brush. Next, apply soldering paste to the ends of the pipes where they will connect with the elbow fittings using your application brush. Join the pipes together with the elbow fittings. Carefully heat the pipes where they join using your handheld torch and apply the solder to prevent leaks. Connect Pipes – The goal here is to have the water from outside piped directly into the water softener using the inlet port. A second pipe should connect with the water softener's outlet port while the other side reconnects to your main water pipe. This is where the soft water will run into your home. Your water softener should come with compression fittings. Use them to attach your altered pipes to the inlet and outlet ports on the unit. Connect the Drain Hose – The media tank should come equipped with a small connector which enables to dirty, sediment-filled water to drain. Connect a drain hose to the device and run the other side to a nearby drain. Ensure there are no twists or curves in the hose. When water is released from the water softener, it should flow continually and smoothly into the drain. A curved hose could cause dirty water to be siphoned back into the machine. Depending on the location of your drain, the hose may need to be clipped on both ends to keep it secure. Connect the Overflow Tube – There is a little hole on the side of the brine tank. If there is any discharge of the solution inside, the fluid will be released through this hole. Your water softener may include a small piece to be inserted, ensuring that any overflow will not flood your device. Restore Water and Power - Adhere to the instructions that came with your water softener and activate its bypass function. It may be activated using a button, valve, or switch depending on your unit. Once the device is bypassed, you can turn on the water supply to your home and restore power the unit. Run water through a few of the faucets in your home to release any air stored in the pipes. Look around to ensure there are no leaks. Release Valves - Plug the water softener into a power outlet nearby. Next release the bypass valve slowly to prevent air buildup. Water will slowly begin to fill the media tank. You can expect for this process to take a few minutes. Next, slowly open the inlet and outlet valves. You'll want to release them slowly also. Once the water is flowing continuously, fully release the bypass controls. First Use - Follow the instructions included with your device to fill the brine tank water and salt. Next, set the machine to 'Regenerate' mode and allow the water softener to complete 1 full cycle. This process may take about two hours. Program Controls - Finally, program your device to your preferred settings. Depending on your device, you may be able to control the regeneration cycles, date and time, and other essentials. The controls may be able to tell you how many gallons of water are remaining, the unit cycle stage, and other informative details. There are some environmental disadvantages to using a salt based water softener. Any minerals and chemicals absorbed are released down the drain, back into our drinking water. This caveat causes some homeowners to seek out a solution more favorable to the environment. Salt-free water softeners or conditioners don't actually take minerals out of the water. Instead, they neutralize the minerals in the water and prevent them from sticking, or scaling. Salt free conditioners soften the water by descaling and then providing a protective coating for your pipes. Because salt free softeners and conditioners do not remove the minerals that make water hard, many of the cosmetic annoyances will remain. Generally speaking, dingy laundry, water spots and minimal soap lathering will persist even after a salt-free conditioner is installed. So the question then becomes, how do you know it's working? Because you can't usually tell the difference cosmetically, you will need to test your water to confirm the salt free system is working. There are many reasonably priced testing options available. It may take up to a week before you notice any results. The system works to gradually dissolves existing scales in your plumbing system. Because there is debate over how well they work to resolve cosmetic concerns, salt free systems are best if used as a preventative measure to prevent hard water. Keep in mind that all salt free water softeners and conditioners are not created equal. Testing has shown that some brands are up to 40% more effective than others. This is also the case for salt based systems. You'll want to keep in mind that most salt free systems aren't overly effective at treating sitting water. Your water heater is a good example of where stagnant water lies. Mineral deposits can settle at the bottom of your water heater and cause efficiency concerns. If you choose to purchase a water softener system, be sure to do ample research and read customer reviews to ensure you're making a sound investment. You can check out our water softener reviews before choosing one. Salt free water softeners and conditioners take up less space than salt based systems because they don't include a brine tank. They can vary in size and appearance, but generally are smaller and more compact. Installation is rather simple, but may require a small amount of plumbing. A salt free system is comprised of a filter, a media tank, inlet/outlet ports and bypass valves. The filter and media tank will both need to tie into your main water line. After installation, salt free systems are cost efficient and virtually maintenance free. Salt free water systems are much smaller than salt based water systems. They are also easier to manage and more economical. The following installation instructions are general, and should not replace the instructions that came along with your device. Each unit is different and may require detailed specifications. CLICK HERE TO AVAIL INSTALLATION SERVICES! Helpful details like the min/max water pressure, pH range, and operating temperatures will also be included in your product instructions. Select a Location – Your salt free water system will need to connect to the main pipeline, and is usually located in the garage, basement, or utility room. Be sure to leave a small amount of space around the device in case it ever needs to be serviced or replaced. Shut Off Water Supply – Your water supply valves may be located inside or outside the home. Locate them and turn them off completely. Then, run the water in your bathtubs for a few moments to release any trapped water. You may also want to have a bucket handy for any water that gets expelled once you cut the pipes. Make Alterations - Before the water softener can be installed, alterations will likely need to be made to your piping. Designate the location for the filter to be installed, and use a pipe cutter to cut the pipe. Attach a shut-off valve to the pipe. This can be done whether you have PVC pipes or copper pipes. Install the Filter – Attach the filter to the shut-off valve using compression fittings, which are usually included with the device. Now, attach a second shut-off valve after the filter. Make Connections – Extend pipe from the second shut-off valve and connect it to the inlet port located on your device. Then, use another pipe to connect the water softener back to the main water supply. If you have compression fittings, you should use them here for extra security. Additional gluing or soldering of PVC or copper pipes may be required to prevent leaks. Restore Water – Ensure both supply valves on your water softener are closed, and turn the water to your home back on. Test the Device - Open each of the supply valves on your device, turning slowly to allow any trapped air to escape. Look around and confirm there are no leaks. If there are none, open the valves completely. Your salt free water softener is now ready for use. The temperature of the installation area should be considered. The equipment should not be placed in direct sunlight, in high heat areas, or in freezing temperatures. If you cannot avoid cold temperatures, be sure to relieve the pressure system along with the drainage system for salt based devices. Also, your unit should not be stored outdoors. Failing to follow the protective instructions that came along with your equipment could void any warranty or cause permanent damage to the unit. The frequency at which your salt based water softener regenerates is based on the type you have. There are two options available: metered and timed. Timed softeners regenerate at the predetermined time you select (i.e. every morning at 3am). 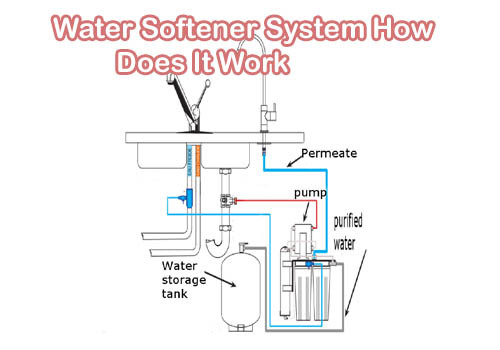 On the other hand, metered softeners monitor the amount of softened water that is available to use. When that amount drops below the predetermined amount, the machine will automatically begin the regeneration cycle. This option is usually available on higher end models and is considered to be much more economic. You may need to inquire about the plumbing codes in your area to ensure you are in compliance. You may even need to request a permit and pass inspection in some areas. Generally speaking, you will be in compliance as long as you've installed a shut-off valve or two. Shut-off valves are often included with the device. However, being out of code can be costly and create time-sensitive repairs, so it won't hurt to diligently make sure you are following the rules. Be sure to consult your manual for instructions specific to your device. Although the basic functions of salt based softeners and salt free softeners are similar, setup varies across devices. Some may require additional parts to be purchased or may contain additional features not mentioned here. Hard water can be a costly inconvenience for you and your family. The problems associated with hard water can disturb many of our daily functions. If you don't currently have a problem with hard water, you may want to consider investing in a water softener to ensure it is never a problem. If you are currently suffering from hard water in your home, then you should action immediately and select from a salt based or salt free water softening system, depending on your needs and preferences. While salt based systems are generally deemed more effective by consumers, salt free systems offer a great alternative for those who are sensitive to salt or environmentally conscience. Many softeners include advanced features that keep maintenance minimal. Installation is straightforward and can usually be completed by individuals comfortable with completing household repairs. Be sure to consult your town hall and inquire about building codes you may need to follow. By following the simple steps we've outlined above, you may have the cleanest water on your block in no time! It is always better to hire a professional if you aren't familiar with home tasks like installation of a water softener because improper installation can not only void the warranty of your water softener, but also damage your heater or your home. So, why risk it when professionals are available at your disposal. Amazon Home Services got you covered. All you need to do is enter your pin code and check if experts are available near your location. Once you have hired them, all you need to do is sit back and relax while your water softener installation is handled professionally by home services experts at Amazon. What's included with this water softener installation? CLICK HERE TO AVAIL THE PROFESSIONAL SERVICES!